The company was recognized for its achievements in technology innovation in mobile learning and learning games. 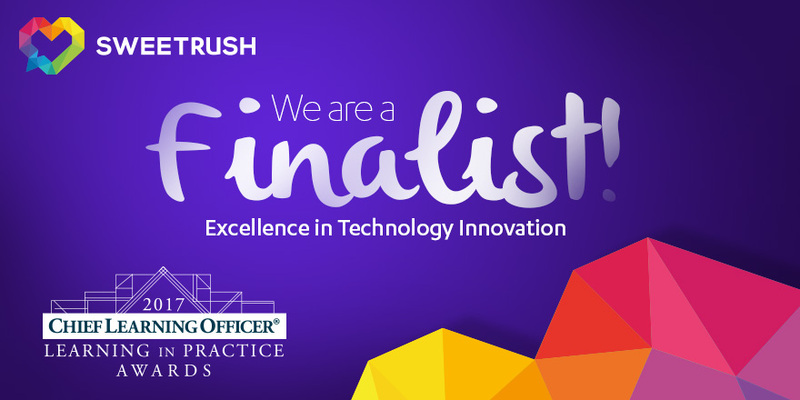 San Francisco, Calif., August 18, 2017 — Chief Learning Officer magazine recently announced the finalists for its 2017 Learning in Practice Awards, and SweetRush was recognized in the Excellence in Technology Innovation category. The winning solution is a sophisticated scenario-based mobile learning game designed for a millennial audience. As sales associates play the game, they practice skills such as recommending products, overcoming objections, and closing the sale. SweetRush will be awarded a gold, silver, or bronze for the category. Winners will be announced October 3. The full list of finalists can be viewed on the Chief Learning Officer website. The Learning in Practice Awards were established in 2003 to recognize learning leaders and providers. The awards are given in two broad classes. Practitioner awards recognize chief learning officers and qualified senior learning leaders for their work within their organizations. Provider awards recognize qualified service providers, vendors, and consultants for their work on behalf of a client organization.